When I was younger, despite playing a lot of different console games I also enjoyed a lot of PC games–whether they’d be the ones during our computer class at school or various games back at home that had me using the Printer quite a bit. Many of those games were Barbie games and one of my personal favorites was Barbie Pet Rescue where you got to find/rescue various animals through different puzzles and mechanics and then take care of them. Having a love for animals, and especially dogs, I was excited to see another Rescue title coming out and it was one of the games I even got to try while at E3. Unfortunately, while the game does have some improvements, I think the original Pet Rescue game has a charm this one didn’t quite capture, but let’s go ahead to the full review for that. Obviously, I am older than the game’s intended audience, but I genuinely have enjoyed a lot of “fun for all ages” and intended for kid’s games so I was still hoping for a more positive experience with the game. During E3, one of the things mentioned was that the game’s main purpose is to show there is a lot more to having a puppy than just giving it a place to stay, but I feel that it shows more of what you’d take a puppy to a vet or groomer for versus what you’d actually be doing at home with your puppy. Other than maybe giving you a frame of reference to check your puppy’s teeth, I’m not sure how much you’ll be learning from most of the other things you do in the game. Everything is very mini-game focused between having to time shampoo/water on a dog pacing back and forth to correct button presses/toggle movements to help train the dog and clean their teeth. While I think kids could still enjoy the minigames, I do think they cause the main purpose of the game to be lost. What really doesn’t help the minigames though are the lack of instruction which may frustrate some young kids. The most instruction you get is with button presses/toggle movement during certain minigames and even that can be rather vague. One example is with clearing the plague off the dog’s tooth–there are arrows that will blink in the direction you’re supposed to move the toggle in. At first, I thought it was another quick-time based event, but you’re actually supposed to sit and wait through the sequence and then repeat the entire thing. While I did get the hang of it fast, I did feel bad screwing up the dog’s poor teeth before I realized and there isn’t any clear instruction explaining this. A similar situation popped up with the training which is mainly a one button Quick-time event, but with the way the button keeps flashing, it feels like you’re supposed to keep pressing it which isn’t the case. It’d have been really nice if the game let you try things more. Everything is very pre-prompt commands that you just have to follow and I feel it would have been much more interesting to be able to coax the puppy out by trying things yourself over following the specific buttons. This could have helped a lot more with the training as well where I feel getting to take control of the puppy or even getting to control the movements a bit over one button press and the trick being done would have been a lot more intuitive along with showing how much work really goes into it. It’s not a simple tell the dog to do it and it does it and considering how much went into the teeth care, I wish it felt like the training and grooming modes had more to them and were a bit more accurate. The game is pretty much all toggles and buttons though and has very little do with the Wii U Gamepad. I feel a lot of stuff such as actually using the tools, guiding the pup with the stylus and/or even a fun way to take care of the pups (Maybe even petting them?) would have been really cool and added a big level of immersion to the game which can feel rather empty at times. 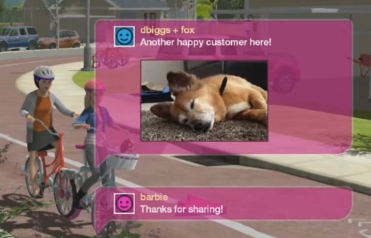 Moving onto graphics, when it comes to Barbie, her sisters, and the puppies, for the most part they are quite nice. Some of the scenery is fairly pretty too, but for the random NPCs, there isn’t much effort into them. In fact, there are only a few models with a few palette swaps for each and with a decently open-world town, it does stand out. I don’t expect most children to really pick up or be bothered by the duplicated population, but I do think just how static the town is will stand out. The only way to really find puppies is through either being called, finding a character who is looking for help, or finding out about the puppy through a poster. 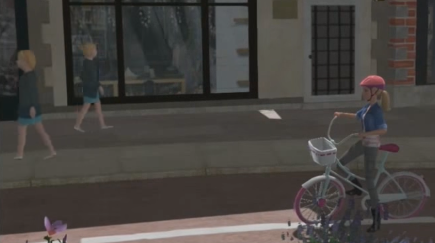 You can’t interact with characters in the city any other way which makes it feel incredibly unlively and also highlight the difference in graphics between Barbie, the Puppies, the scenery, and the various other people in the town. And while the puppies do look nice, I don’t feel the cartoony appearance of their face fits and I think they would have been better with a more realistic approach considering the effort that went into their fur. One of the things I found really odd though were the random loading screens. I was never able to find out what specifically caused them (if anything), but one of the things that tended to pop up every so often, although not everytime, were the pop-up messages from a client talking about their puppy and thanking Barbie. While I found them cute, I do think they felt a little out of place with the rest of the graphics and would have been better if they were redrawn in the same style as the rest of the game. The voice acting falls into a slightly similar issue where for the most part, it’s pretty good, but it can get repetitive very quickly. 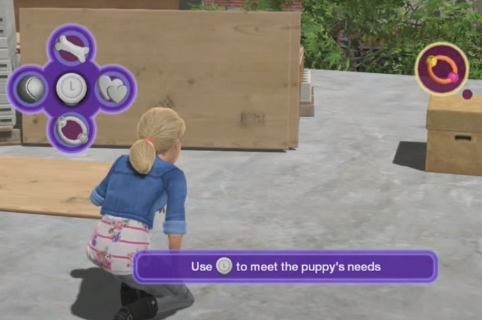 There are also scenes where dialogue is happening and no mouths will be moving such as the cutscene when Stacey brings the newly trained pups to Chelsea. The entire time she’s talking, her mouth never moves. There are also occasionally issues of the opposite where there is no talking, but it’s acted like they are doing so. I don’t feel the latter would be as noticeable to a child as they really require a lot more attention, but I do think the former could be a bit awkward at times. Despite the issues with voice acting, I found the music pretty catchy and enjoyable. The only music I ever felt was out of place was in the sewers which really just made the slow gameplay in that area really stand out as the music didn’t fit with it at all. I’m not sure where the music would have been better placed, but definitely not in the sewers. The game itself runs rather well, though, it can be a bit glitchy and somewhat slow. I found myself pushed around by various NPCs while riding along and even got into odd situations. There are also many “no bikes allowed” areas which actually got to the point where I found I preferred not using the bicycle in the first place. Movement in general felt somewhat slow and the directions weren’t always great–I found I was often lead into dead-ends or completely the wrong area and I can only imagine how much that could throw off a child playing. 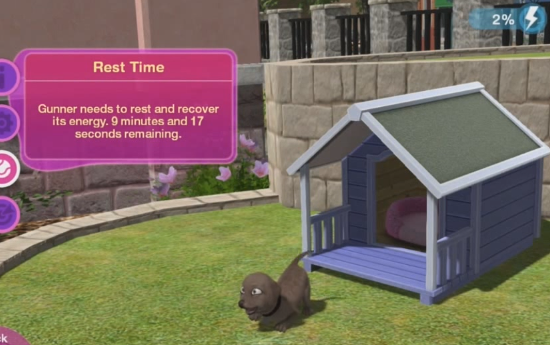 The forced timers for waiting to do the next step of care as well just make the gameplay even slower–especially when I found there were times I couldn’t find any puppies to rescue. 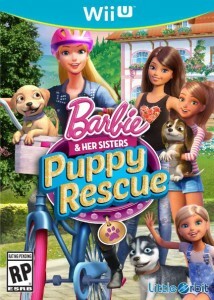 While the game can still be fun, I feel unless you or whomever you may want to get this game for, is someone who is patient and/or a big fan of Barbie and/or Puppies, they may have trouble really enjoying it.